Coverage of migrants and refugees in the mainstream media is disproportionately negative. 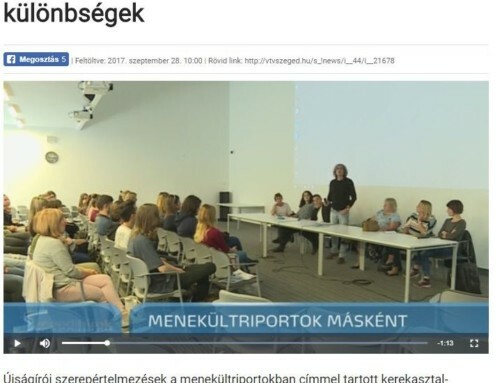 Hateful, divisive and stigmatising rhetoric in social, political and editorial bias has had real impact on the way that migrants and refugees are viewed by populations across Europe. 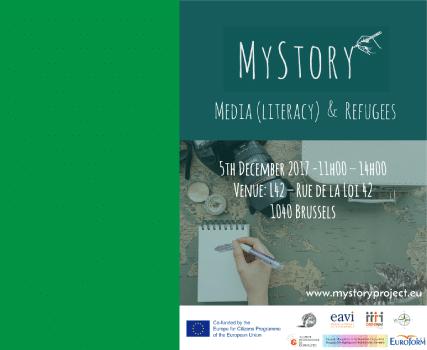 My Story, Media (literacy) and Refugees Event will provide an opportunity to reflect on ways the media shapes citizens’ perception of migrants and refugees. This will include how it generates tensions by way of stereotyping and the use of propaganda-type tools. It will also look at how best to fight the further stigmatisation of refugees in discourse and in the mainstream media. 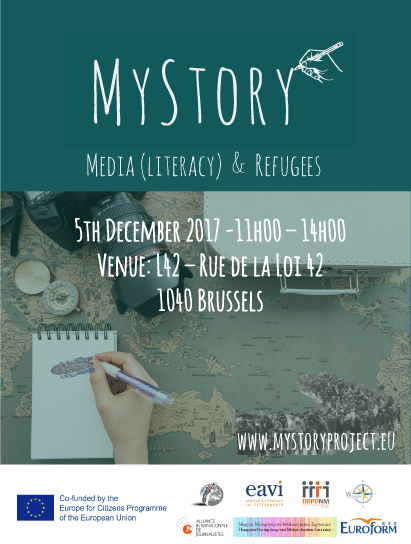 EAVI and partners from Hungary, Slovenia, Germany, Italy, France, Greece and Belgium will present their experience and work in this field, including audiovisual material and a Do’s and Dont’s’ Guide for journalists. 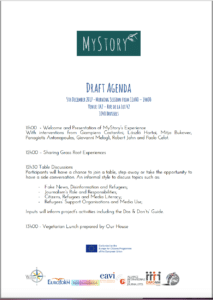 Other grassroots organisations will share their experience and opportunities of participation are offered. The debate will continue in the afternoon at the European Parliament at the event ‘Democracy, Journalism and Literacy’ co-organised by EAVI.